Plus d'informations : https://uqsay.blogspot.com. A bientôt sur le Plateau de Millegrues ! The annual conference UseR! 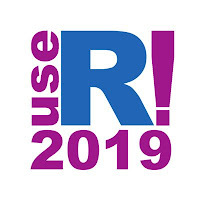 2019 will be held in Toulouse in FRANCE, from 9th to 12th July, 2019. You are invited to submit an abstract for an oral presentation or a poster session. Deadline for abstract submissions : 1st March, 2019. A prize will be awarded for the best poster on "Design, modeling and analysis in computer experiments" by the MASCOT-NUM scientific committee. To help the organization committee to recognize that the poster is labeled "MASCOT-NUM", please indicate "Computer Experiments" in key words.